Rebecca is the Business Development Executive at Callbox. She spearheaded successful projects in leveraging brand visibility. A vivid marketing blogger and a goal oriented leader who enjoys sharing tips and stories. 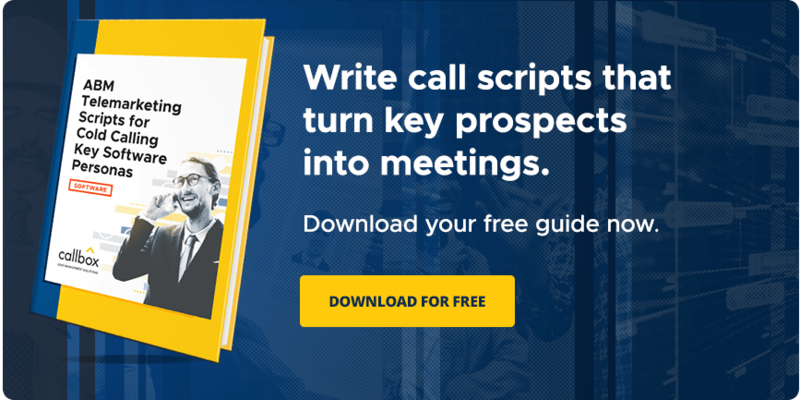 Boost your sales meetings with potential customers with the help of our proven 4-step appointment setting approach. Maximize lead generation performance and flexibility as we take a look at how you can get the best out of in-house and outsourced lead generation. The free event brings two of Callbox’s top sales experts for in-depth, hands-on lessons on building and improving a modern ICT sales prospecting process. Register now. Overcome the challenges when setting your IT staffing services apart from the competition. Understand what makes it so hard and learn how to make it work. We’re excited to announce the big winners of our first-ever Callbox Influencer Awards. Find out if your favorite marketing influencer made it to our list. Refine your B2B lead generation plans and start making informed decisions as we take a look at the pros and cons of do-it-yourself lead generation. Make your ABM program more robust with the right mix of targeted outbound channels and touch points. Find out how targeted outreach drives the whole ABM process.